In the American League, Jose Altuve and Aaron Judge will garner most of the votes while Giancarlo Stanton, Max Scherzer highlight the National League. ANAHEIM, Calif. — After a marathon of a season that started back in early February and carried through the World Baseball Classic and 162 regular-season games, the postseason looms. Can the Cubs repeat? Will the Dodgers reverse their late-season struggles into playoff success? Can the Indians, the hottest team in baseball, carry it into the postseason? Will a wild-card team make a run to the World Series? Just how many times can broadcasters refer to Aaron Judge as the new face of baseball? With the regular season ending, it means certain writers around baseball, selected by their local Baseball Writers’ Association of America chapters, will be making their choices for the specific award they were chosen to vote on. Each baseball city gets two votes on every BBWAA award — MVP, Cy Young, Rookie of the Year and Manager of the Year — for their city’s division. Meaning American League cities vote on American League awards. For the sake of the last Sunday column of the season, here’s the picks for all the awards from an aging beat writer who has given up on vegetables and the dream of Montana winning the Big Sky Conference football title. Somebody will use the comparison of David and Goliath given their significant difference in stature between Altuve and Judge. For the first half of the season, Judge seemed like the eventual MVP and the new poster boy of the modern MLB player. But he struggled significantly after the All-Star break. 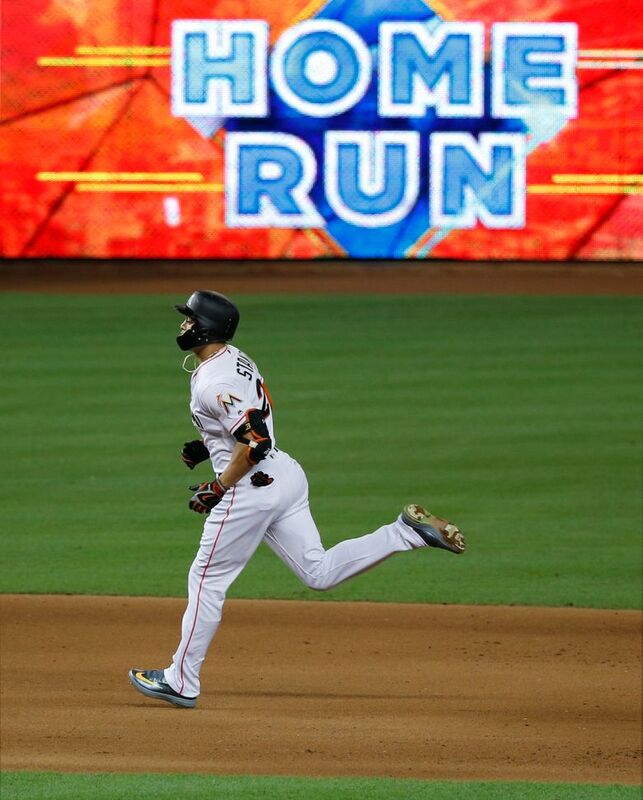 Meanwhile, Altuve just kept racking up numbers and leading the Astros to a fantastically successful season. He’s played in 151 games and leads the majors with a .348 batting average while notching 203 hits — most in the American League. He also leads the majors in Baseball Reference’s Wins Above Replacement at 8.4. He’s scored 111 runs, racked up 39 doubles, four triples, 24 homers and 81 RBI. He’s also stolen 32 bases, which is just one off the AL lead. While Judge went through that prolonged slump, Altuve has been ultra consistent. He never posted a batting average below .300 for any month this season. His worst stretch came over 22 games in May where he hit .253 with a .761 OPS. Similar to the MVP race, it seemed as though Sale had the award locked up by the All-Star break. He was absolutely dominant, posting an 11-4 record with a 2.59 ERA with 191 strikeouts in 1351/3 innings. And Sale has been decent since then, posting a 6-4 record and 3.12 ERA in 14 starts and going over the 300-strikeout mark for the season. 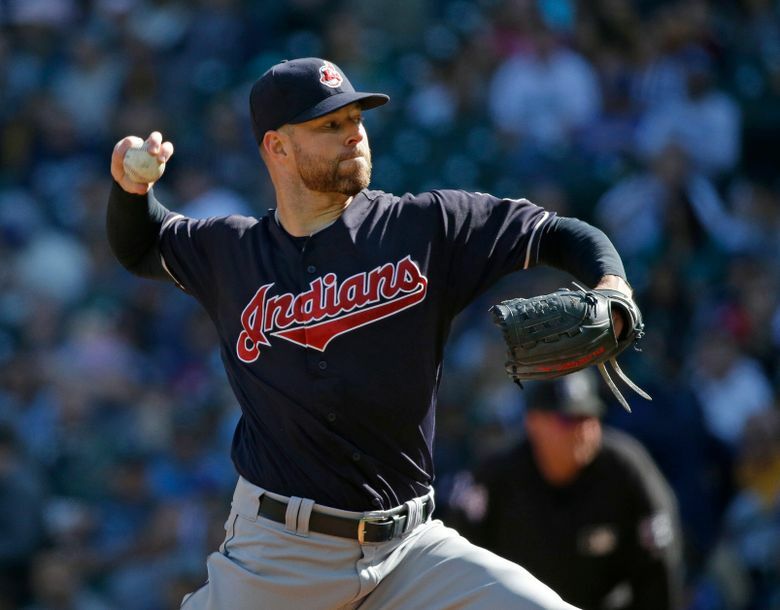 But Kluber has just been better. He has an 18-4 record with a 2.27 ERA. He leads MLB with 18 wins, five complete games and three shutouts, while his ERA is lowest in the AL. Since July 1, he’s been baseball’s most dominant pitcher, posting a 15-2 record and 1.62 ERA in 22 starts. In 1611/3 innings, he’s struck out 221 batters and walked just 23. During that time, opponents are hitting .171 with a .490 on-base plus slugging percentage against him. In a normal year, Benintendi’s season — .271 batting average, .778 OPS, 26 doubles, 20 homers and 89 RBI — would have made him the easy choice. But Judge put up video-game numbers in his first full season. He should be the unanimous selection since he will probably garner first-place MVP votes after hitting .284 with a 1.045 OPS, 24 doubles, three triples, 51 homers and 113 RBI. He leads the AL in runs scored (127), homers (51), walks (126) and the majors in strikeouts with 206. He broke Mark McGwire’s season record of 49 homers for a rookie. More importantly he’s helped push the Yankees back to the postseason sooner than anyone expected. The Twins lost 103 games last season. This season they will play in the American League wild-card game. That’s a historical accomplishment since no team ever reached the postseason the year after losing 100 games in a season. For much of the season, the Twins were at or near the top of the AL Central or the wild-card standings. During that time, most people anticipated a collapse and regression. They didn’t despite using 16 different starting pitchers, trading away their closer and another starting pitcher at the trade deadline. With an array of teams vying for that second wild-card spot, the Twins pulled away by going 31-18 from Aug. 5 to Sept. 26. If Paul Goldschmidt didn’t hurt his elbow three weeks ago, he would’ve probably garnered the award. There really is not a runaway winner. Stanton’s numbers are fantastic. He leads all of baseball with 59 homers and 130 RBI with an NL-best .637 slugging percentage and 7.6 Baseball Reference WAR. He’s done that with pitchers trying to avoid him if possible. Throw in a .281 batting average, 32 doubles and a 1.014 OPS, and that seems good enough. But a case could be made for Votto or Nolan Arenado or Charlie Blackmon or Goldschmidt. From this column last year: “Let’s be honest, if Clayton Kershaw doesn’t get hurt and miss two months, the award belongs to him.” It’s a similar issue this season except that Kershaw missed five weeks, including all of August, with back issues. Scherzer dominated in the first half and had a few shaky outings in the second half. Still, he’s made 30 starts this season — missing two outings with a neck issue — posting a 16-6 record with a 2.55 ERA. In 1971/3 innings, he’s struck out an NL-high 263 batters. He also leads the NL with two complete games. He has the highest Baseball Reference WAR of any pitcher in the NL at 7.0. Like his teammate Corey Seager last season, Bellinger should be an easy choice and possibly a unanimous winner. Bellinger has simply been that much better than any rookie in the NL. Called up on April 25, he’s played in 130 games. He hit .266 with a .934 OPS, 25 doubles, four triples, 39 homers and 96 RBI while playing first base and all three outfield spots. He made the absence of Adrian Gonzalez in the lineup not that noticeable. Think about this: Bellinger turned 22 in July and played a total of 21 games at the Class AAA level before being called up. He always seemed like the guy who would be the eventual manager of the Red Sox when John Farrell got fired, something that Boston fans yearned for and demanded. But that never happened, and Lovullo followed Mike Hazen, who was named the Diamondbacks GM, to Arizona in the offseason. The two men helped reshape the philosophy of the organization. Lovullo emphasized defense, positioning and baserunning while bringing a youthful energy to the dugout. The Diamondbacks played a better brand of baseball, which aided a solid pitching rotation and resulted in a spot in the wild-card game.